Infused waters seem to be the latest trend so I’m jumping on the bandwagon today with my most pretentious “recipe” yet! The rose bush in our garden is in full bloom and I just love the smell of fresh roses, especially after it’s just rained and the whole garden is fragranced with rose water. So I’m making the most of them with this infused water. 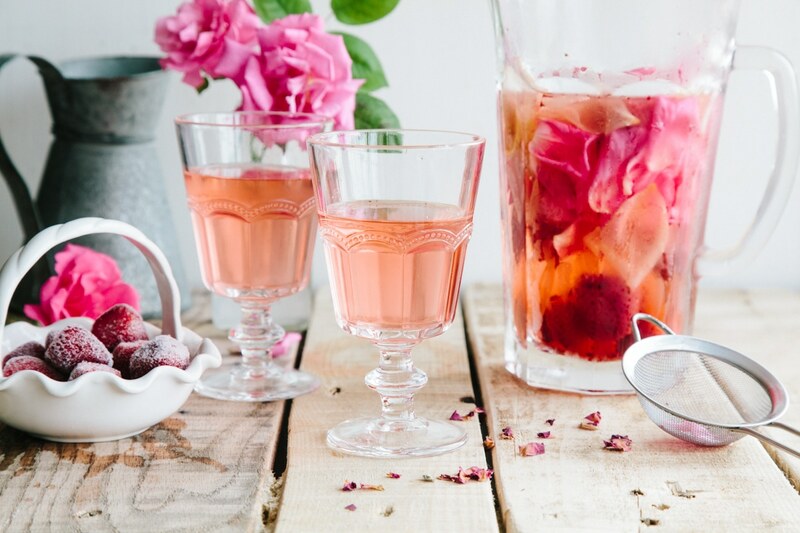 If you love rosewater, then you must try this! It’s so simple but so elegant, delicious and refreshing. I did intend on using lemon slices in this water but only had half a small lemon to hand, so I used the juice from it instead. But I would definitely recommend using lemon slices instead as you get more flavour from the zest that way. Strawberries pair beautifully with rosewater but so would raspberries or really any other berry of your choice. I like to use strawberries because they provide a very subtle sweetness too, as well as looking so pretty! I wasn’t expecting it to create such a gorgeous colour. To look at, you wouldn’t know it was just infused water. 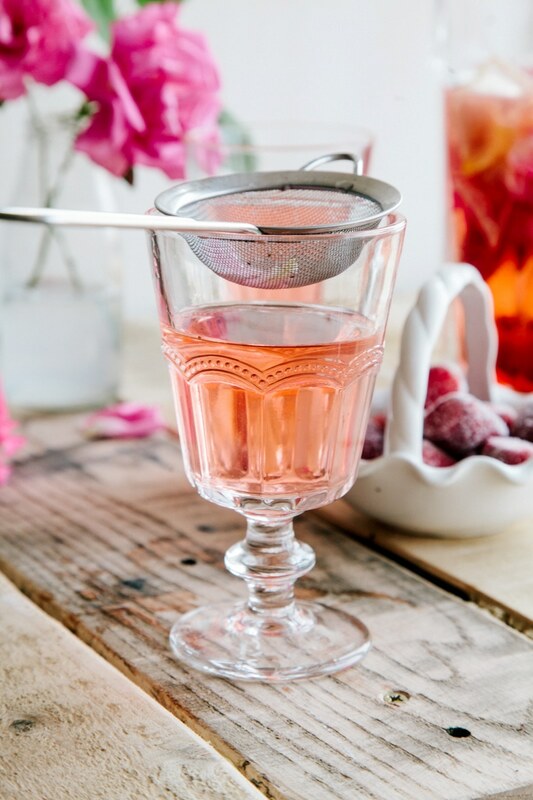 You can serve it straight from the jug into glasses or, as I prefer to, use a ladel and a small sieve to strain into the glasses and collect the pieces of fruit and petals. Flavour-wise, the water has a very subtle sweet, floral flavour with a lovely zing from the lemon. It’s refreshing, calming and a very pleasant way to drink more water in the summer time! Fill a jug with all the ingredients and leave to infuse in the fridge for at least a couple of hours, preferably overnight. You can serve it straight from the jug or you can strain it into glasses. 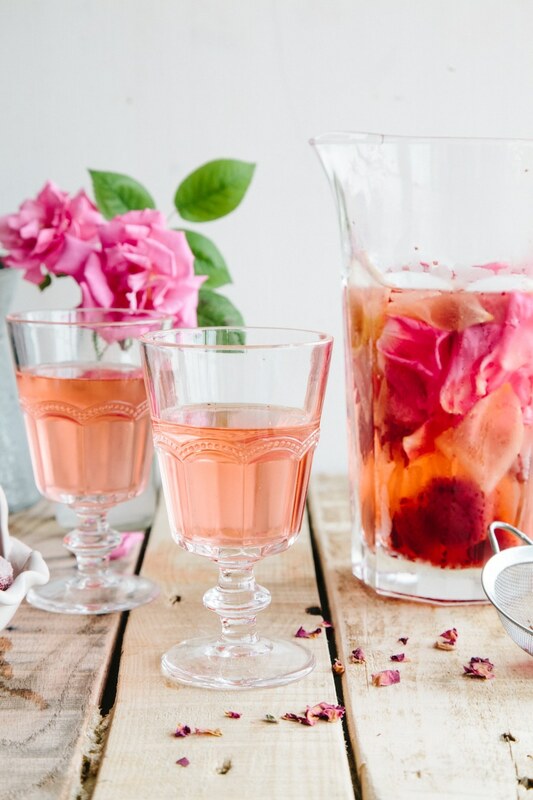 I like to use a small sieve and a ladle to pour into the glasses and collect the petals and fruit pieces. Have you tried infusing water? I usually love to infuse water with orange slices but I think this might be my new favourite infusion! I found dried rose petals in world market can you use that in the rose water infused water. I have some rose scented geranium in my garden. I am going to try that with the strawberries. Don't have a lemon so will put lime slices instead. I really love the fruit infused trend. I drink so much more liquid now - - and no sugar! Keep up the good work. Oh wow this looks so beautiful I love rose water. 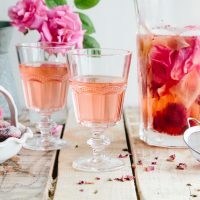 I've never tried rosewater, but it has always intrigued me and this just looks like the loveliest drink ever! Seriously so gorgeous! This is just beautiful! These are the kind of recipes I think of when I think of you! Haha! All lovely and girly <3 It should be your signature "sip" :) Bottle it up and sell it! 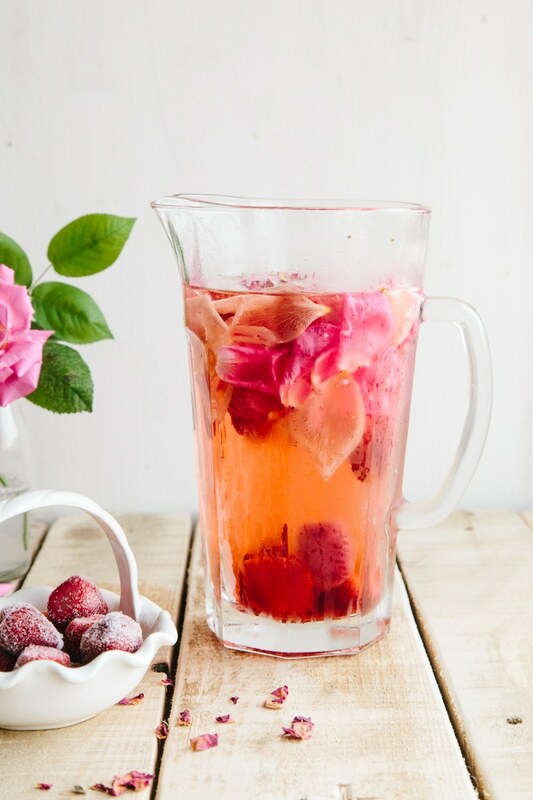 "Wallflower Infused Rose Water" <3 I'd buy!